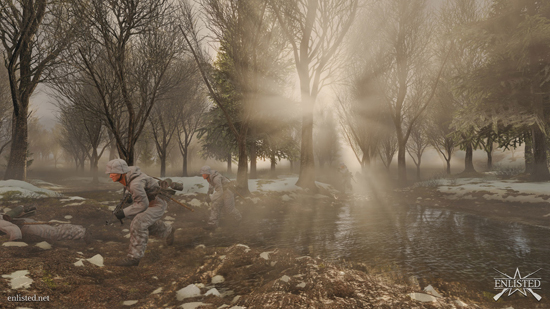 Enlisted, a new squad based multiplayer shooter for PC, developed by Darkflow Software studio. 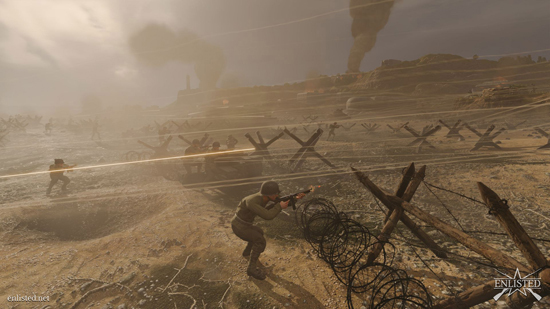 Dedicated to the most important large scale World War II battles, Enlisted will be a fan driven game. Enlisted will initially offer two massive campaigns - Battle of Moscow and the Battle of Normandy. 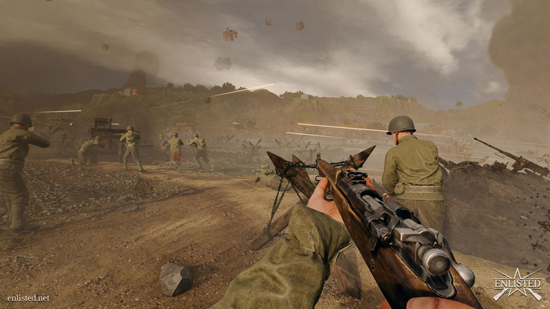 Each campaign in the game will represent multiple phases of a battle - which during the war lasted for weeks, sometimes months, as well as specific characters and weapons suitable for the historical event recreated in a campaign. 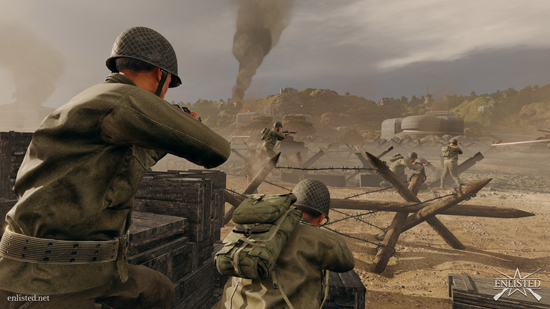 It will also offer different game modes where players will be fighting not only by themselves but also together with a platoon of soldiers in massive battles. 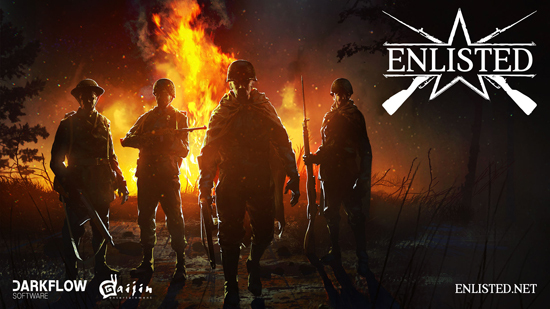 Built using Gaijin Entertainment’s proprietary Dagor Engine, Enlisted will feature large scale battles with a 100 combatants spread over a massive and richly detailed battlefield complete with destructible landscapes. 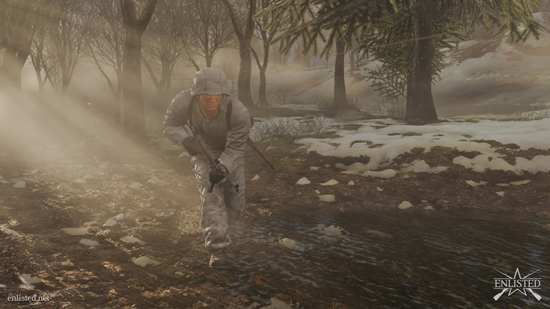 “Enlisted is an ambitious undertaking, unlike any game we have ever created. 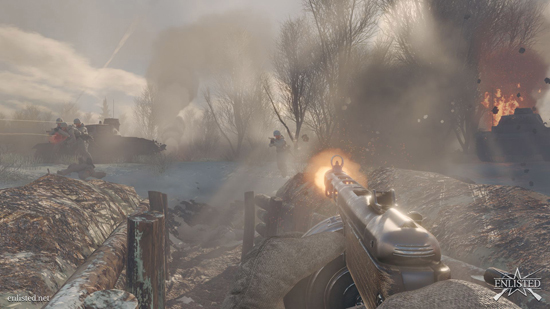 It will be a first person shooter decided by the fans, for the fans. They will have direct input into what we create, including things like campaigns, game modes, even which platforms after PC we will support,” said Alexander Nagorny, producer, Darkflow Software. Beginning today, players can purchase the first two campaigns (collectively or individually) as well as weapons packs and early access to the closed beta, which will launch in the second half of 2017. Exclusive collector’s weapons will cost from 6.99 to 11.99 USD, weapon+campaign pack will be from 20 to 25 USD depending on the rifle you choose. The biggest pack for 50 USD will include both campaigns, three weapons and will provide the owner with early access to the game. Gaijin Entertainment will reinvest all proceeds from Enlisted into developing additional maps, game modes and console versions. The plan is to start developing the African campaign once Enlisted generates $250K in sales. More campaigns and new gameplay features, both chosen by players through online voting, will go into development with each goal reached and at the $1m mark, consoles versions will go into development.